The Sunshine Streamline Solar Mounts are an ideal way to fix your solar panels on the roof or deck of caravans, motorhomes and boats. The aluminium mounts can be safely bonded to the surface removing the need to drill holes and offer a sleek, aerodynamic finish. Streamline Mounts are supplied in pairs with grey end caps, a choice of two sizes and two colours are available, choose between 660mm or 340mm long and silver or black. Each Streamline aluminium profile can be cut to size if required. 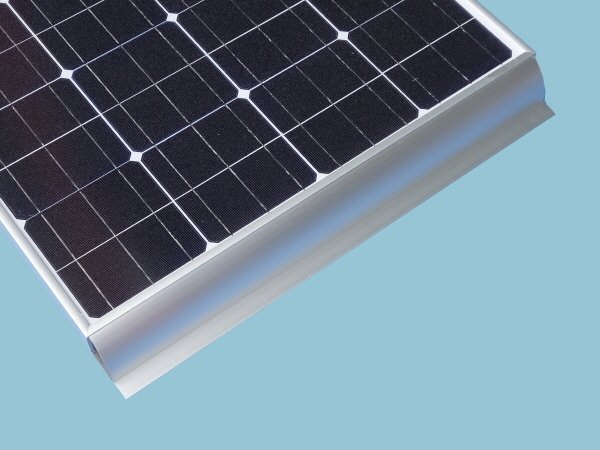 The mounts act as a wind deflector and maintain the correct air gap between the solar panel and the roof top/deck. Their aluminium profiles provide a high quality mounting solution creating the ideal combination of functionality and appearance. Easy installation, secure fit combined with sleek, stylish and aerodynamic finish for vehicle mounted solar systems.